A friendly church set near the centre of Burnley, but with its own identity. The congregation although small in number have a heart for the community and the wider implication of what it means to be followers of Jesus Christ throughout the world. There are a number of groups which meet from time to time at this church. Details can be obtained from the church members direct. We hold a service of worship at 11.00am with monthly services led by the Core Team with an informal family-friendly style of service every Sunday except the first Sunday of the month. On the first Sunday of the month we have a family lunch at 12.00noon followed by our service at 1.00pm - This is an All Age Worship service with young families from the neighbourhood joining us. 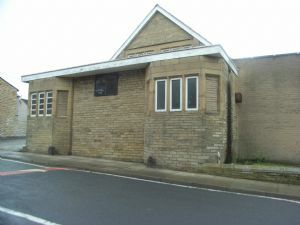 There is a 1.00pm service every Sunday led by Burnley Pioneer Project.